A bankruptcy attorney can explain all aspects of bankruptcy laws. Bankruptcy is the statutory procedure that can be used when you cannot pay your financial obligations as they become due. A bankruptcy proceeding is usually filed in federal court. When a bankruptcy proceeding is initiated, your current debts will be valued and you will either pay your debts over time or give up certain assets to be liquidated in return for the cancellation of your financial obligations. For further assistance, contact an experienced bankruptcy attorney. The best way to find a bankruptcy attorney or lawyer in Las Vegas or Reno, Nevada, is to click here: www.AttorneyGuide.com. How Can I Protect My Home from Foreclosure Using the Bankruptcy Laws? When you cannot pay your mortgage, then your home lender may foreclose on your home, which means that you may lose your home. Filing a bankruptcy will generally prevent a foreclosure on your home. You must qualify for a bankruptcy, however, by having too much debt or too many bills in comparison to the amount of money you have to pay your bills. A bankruptcy attorney can help you decide if you qualify for bankruptcy and whether you can use the bankruptcy court to prevent a foreclosure on your house because you are unable to pay your mortgage. In this way you can potentially protect against a foreclosure. The best way to find a bankruptcy attorney or lawyer in Las Vegas or Reno, Nevada, is to click here: www.AttorneyGuide.com. Where can I find a Bankruptcy Lawyer in Las Vegas or Reno, Nevada? Click on www.AttorneyGuide.com. Choose your city then select Bankruptcy and the type of case that best matches your situation. How Much Does it Cost to File a Nevada Bankruptcy? The cost varies depending on what Chapter of bankruptcy you elect to file. You can find the current filing fees by clicking here: Fees. In addition, you may be required to pay quarterly fees to the United States Trustee. Failure to pay the quarterly fee to that office can result in dismissal of the bankruptcy or conversion. 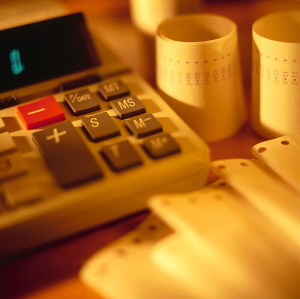 Fees for a bankruptcy attorney are additional. The best way to find a bankruptcy attorney or lawyer in Las Vegas or Reno, Nevada, is to click here: www.AttorneyGuide.com. How Long Does A Nevada Bankruptcy Take? Generally, Chapter 7 bankruptcies are handled quickly and will require an initial meeting with the trustee and a discharge hearing. Chapter 11, 12 and 13 bankruptcies may take longer and involve a number of hearings over an extended period of time. A bankruptcy lawyer in Las Vegas or Reno, Nevada, can advise you on the length of time for your situation. The best way to find a bankruptcy attorney or lawyer in Las Vegas or Reno, Nevada, is to click here: www.AttorneyGuide.com. Bankruptcy services are offered by specialized bankruptcy lawyers. While you may already have an attorney for your business, estate planning, or family matters, he or she might not be experienced in bankruptcy laws. More often you will have to find a bankruptcy lawyer from scratch. It is most cost-effective to hire a lawyer who practices exclusively in bankruptcy law as their experience will expedite your filing. The best way to find a bankruptcy attorney or lawyer in Las Vegas or Reno, Nevada, is to click here: www.AttorneyGuide.com. You should consider filing bankruptcy in Nevada when you cannot pay your financial obligations or when there is an event that makes the future payment of your bills unlikely. For example, Nevada bankruptcy can be considered when there is an illness, accident, or loss of employment that compromises your financial situation. Further, when a judgment is entered against you, filing bankruptcy may be used to stop the creditor from attaching or interfering with your assets or wages. Please note that filing bankruptcy, and even receiving a discharge from Nevada bankruptcy, may not release you from all obligations. There are some debts that are not dischargeable under bankruptcy law. Therefore, you may be responsible for such debts, including, but not limited to certain taxes, student loans, alimony and support payments, long-term secured obligations, debts fraudulently incurred, debts for willful and malicious injury to a person or property, and debts arising from a drunk driving judgment. If you are unable to pay your mortgage and the lending bank is threatening to foreclose on your home, remember that not all property is subject to execution and levy when bankruptcy is filed. Due to the special nature of certain property, state law often provides exemptions to execution and levy on your primary residence. For assistance in determining if a Nevada Bankruptcy is right for you, contact an experienced bankruptcy lawyer Las Vegas or Reno. The best way to find a bankruptcy attorney or lawyer in Las Vegas or Reno, Nevada, is to click here: www.AttorneyGuide.com. Does a Bankruptcy Affect My Credit? Future lenders may consider your bankruptcy when they are making a decision as to whether to loan you money or issue credit to you. There are laws that exist to prevent unlawful discrimination due to your filing bankruptcy. The fact that you have filed for bankruptcy may appear on your credit history for 10 years or longer in many cases. The best way to find a bankruptcy attorney or lawyer in Las Vegas or Reno, Nevada, is to click here: www.AttorneyGuide.com. Yes. The types of bankruptcies are divided into chapters. The four most common are Chapters 7, 11, 12 and 13. A bankruptcy lawyer in Las Vegas or Reno can help you determine which chapter is right for you. Chapter 7 is the type of bankruptcy which is used when you do not have the ability to pay for your existing debts. If you file under this chapter, a trustee will likely be appointed and placed in legal possession and control of your assets to be sold and the funds obtained will be used to pay off your creditors. Chapter 11 is mostly used by businesses and companies with large and complex debts, but is also available to consumer debtors. This allows the Debtor to reorganize its financial obligations and repay its debts under a plan approved by the Bankruptcy Court. Chapter 12 specifically provides relief to family farmers and in many ways is similar to a Chapter 13. Chapter 13 (wage earner’s plan) is designed for individuals with regular income who are temporarily unable to pay their debts, but would like to pay them in installments over a period of time. A Chapter 13 plan must be filed and approved by the Bankruptcy Court and is the process used to repay the debts of an individual over 36 to 60 months. Under this Chapter, you may retain your property, both exempt and non-exempt, as long as you continue to make payments under the plan. Now that the new bankruptcy law is in effect, the landscape has changed for those who are considering bankruptcy. All debtors will have to get credit counseling before they can file a bankruptcy case — and additional counseling on budgeting and debt management before their debts can be discharged. Some filers with higher incomes will not be allowed to use Chapter 7, but will instead have to repay at least some of their debt under Chapter 13. The best way to find a bankruptcy attorney or lawyer in Las Vegas or Reno, Nevada, is to click here: www.AttorneyGuide.com. The Bankruptcy Abuse Prevention and Consumer Protection Act of 2005, a major reform of the bankruptcy system, was passed by Congress and signed into law by President Bush in April 2005. Changes instituted by this new law took effect on October 17, 2005. Below are some of the key changes that came about as a result of this new bankruptcy law. As of October 17, 2005, before filing bankruptcy, most applicants must now undergo credit counseling in a government-approved program. Under the new law, bankruptcy applicants who wish to file under Chapter 7 must meet certain eligibility requirements under a “means test.” Under the “means test,” if your current monthly income is less than the median income in your state, you can file for bankruptcy under Chapter 7. However, if your current monthly income is above the median income in your state, and you can afford to pay $100 per month toward paying off your debt, you cannot file under Chapter 7 and must proceed under Chapter 13 (more on Chapter 13 below). Whether you can afford to pay $100 per month (or $6,000 over a five-year period) is based on a formula that includes your monthly income, your expenses, and the total amount of your debt. Under the new bankruptcy law, people wishing to file bankruptcy under Chapter 7 or Chapter 13, must show proof of their income by providing federal tax returns from the last tax year. If a bankruptcy filer has not paid taxes for the previous tax year, he or she must do so before the bankruptcy can proceed. As discussed above, if a bankruptcy applicant is ineligible for filing under Chapter 7 based on the “means test,” he or she must file under Chapter 13 instead. There are a number of major differences between Chapter 7 and Chapter 13 bankruptcy, but the main distinction is that under Chapter 13, the debtor enters into a five-year repayment plan in which he or she must pay a certain amount of money to creditors, based on a strict expenses-to-income formula. People who file for bankruptcy have traditionally been entitled to certain immediate protections from creditors and others — including most debt collection and lawsuit actions. These protections are part of what is called the “automatic stay” effect of a bankruptcy filing. However, under the new bankruptcy law which took effect in October 2005, some of these protections have been eliminated. For example: filing bankruptcy no longer delays or stops eviction actions, driver’s license suspensions, legal actions for child support, or divorce proceedings. Bankruptcy laws provide a system of re-payment priority for people and companies that are owed money (called “creditors”). Under the new bankruptcy law, among the changes in creditor priority is that people who are owed unpaid child support and alimony (i.e. the bankruptcy filer’s family members) take priority over any other creditor. Before any debt can be discharged, bankruptcy debtors must participate in a government-approved financial management education program. The best way to find a bankruptcy attorney or lawyer in Las Vegas or Reno, Nevada, is to click here: www.AttorneyGuide.com.